Kodaikanal is the most favored tourist destination in the state of Tamilnadu, which lures the visitors by its exquisite beauty and it’s never to forget tranquility. The beautiful waterfalls, majestic hills, a serene lake, lush green forests and fruit orchards are the specialties of the place. The months from April to June or August to September are supposed to be the best time to visit the hill station. Blessed with many places of tourist interest the top most tourist places in Kodaikanal can be listed as follows. Located just twenty km from the city bus stand is the star shaped Berijam Lake. 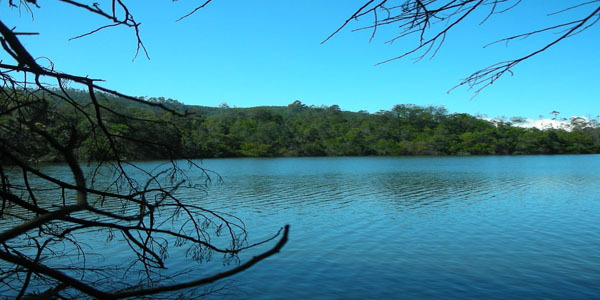 The lake is surrounded by Upper Palni Shola forest reserve, having a large variety of explicit flora and fauna. Medicinal plants like Digitalis, Pyrethrum and Dioscorea are abundant here. The pillar rocks offer scintillating views of the Kodai valley. Silver Cascade and Bear Shola falls are located just eight km from kodaikanal. Silver cascade falls falling from a height of around fifty five meters offers delightful views. Bear Shola is the most popular tourist spot where once bears used to come to drink water. Another spot the fairy falls are only five km from the main town. Orchidorium is the place where around three hundred different species of trees and flowers are available. Palani is a place of religious as well as tourist importance. Located at sixty four km from Kodaikanal, it is famous as one of the six resting places of Lord Subramanya. Perumal peak situated at a height of 2500 meters provides excellent opportunity of trekking to adventure tourists. The major attractions of Kodaikanal are ‘Kurinji-flower' and kurinji temple. Kurinji-flower blossoms once in twelve years, and is considered as an attraction of this tourist place. kurinji temple is located at about five km from the bus station. Kodaikanal with all the above attractions is the must visit destination of South India. Mahabaleshwar, is the most attractive hill station in Maharashtra located on the Western Ghats in Satara district. It was originally developed as a health resort. 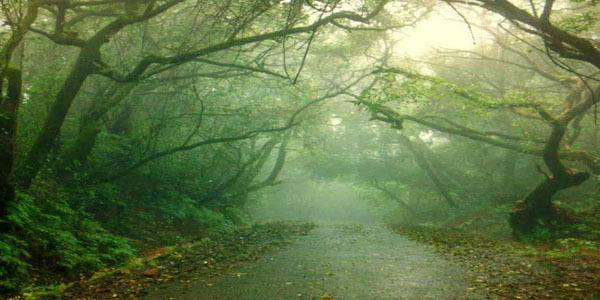 The largest evergreen forests of Mahabaleshwar are rich with many plants and herbs of great medicinal value. Easily accessible from Mumbai and Pune it is the most favored destination in the list of tourist destinations of Maharashtra. Attraction of Mahabaleshwar is the climate which is enjoyable throughout the year. Especially when the nearby metro cities are experiencing the heat of the summers in the months of February to May, Mahabaleshwar is offering a enjoyable cool weather. It is heavily raining during monsoon and the winters are harsh, so the best time to visit Mahabaleshwar is the summer time. This hill station is dividedinto old Mahabaleshwar and new Mabaleshwar. Just twenty km from the new city old mahabaleshwar is full of enchanting sceneries and ancient temples. 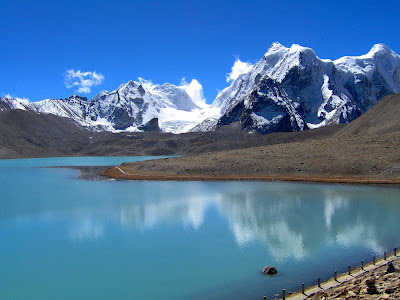 There is lot of scope for trekking and other adventurous activities. Visiting old Mahabaleshwar with lots of temples, some of them on the top of the hills gives a divine feeling to the visitors. There are five natural springs pouring water into a rock which looks like a tank. These springs are the sources of various rivers such as Koyna, Krishna, Savitri and many others. New Mahabaleshwar is very much popular for its strawberry farms and other farm produce. The Mapro factory is also a place worth visiting where you can watch the production of Jams, jellies, sauces and many other fresh fruit products. One can even buy the fresh products at reasonable rates. There are many points known by different names to be visited in Mahableshwar. Sunrise at Wilson point is the most precious view at the highest point in the region. The other popular points to be visited are Elphinston point, Connaught peak, Baghdad point, Bombay point and Rosamond rock. Nearby excursions to Pratapgad and Wai are the other attractions of Mahabaleshwar. 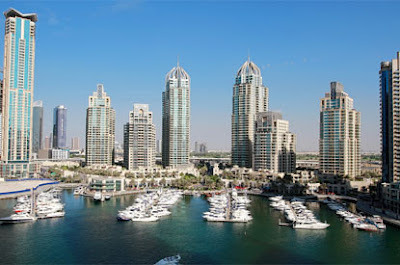 Dubai is the most popular tourist destination in the Middle East located in the southeast corner of the Arabian Gulf. Its location midway between Far East and Europe makes it a convenient dynamic business center. It is connected to a huge number of one hundred forty global destinations. One of the emirates of the UAE, Dubai conserves many things for the tourists from long sandy beaches to lush green parks, modern amusement parks and world’s most renowned shopping malls. The best infrastructure in the form of modern airports, and ultra modern road transportation attracts the tourists to this business hub. The yearly events and shopping festivals in Dubai are a great attraction for the world wide tourists. The city has enough accommodation facilities to serve the growing number of visitors. Dubai is hot during the summers and the best time to visit Dubai is between the cooler months of November to April. The best tourist attractions of Dubai are Global village Dubai, museums and art galleries in Dubai, Dubai desert safari, fine sand beaches, parks and beach resorts. One can take the city bus tour to go around the city. The desert safari is the best option for the adventure tourists. Beach activities like snorkeling, scuba diving, jet skiing and fishing can be enjoyed at the most popular Jumeira beach. Dubai Dolphinarium is the place where Dolphins can be watched from a close distance. Other tourist places in Dubai are Dubai museum which offers insight into archeological and cultural heritage of the city. Wonderland theme park offers a collection of over one hundred rides, video games and arcade games. There are around ten public parks in Dubai and Mamzar area. Al Maha desert resort & Spa is the Spa center located on a green oasis. The joy of riding a traditional Arabian Dhow cruise can be enjoyed along the creek. Aqua venture is the place located in the Atlantis on the outer rim of the Palm Jumeirah Island to enjoy adventurous water sports. Dubai is a appealing destination for the many types of visitors like leisure tourists, shoppers, businessman and adventure sports lovers.